Join us this week as we welcome Country music singer songwriter, Lockwood Barr. From the moment she steps into the spotlight and begins picking her banjo - her dad’s 1972 Gibson Mastertone, to be exact - it’s undeniable that being on stage is where Lockwood Barr feels most at home. The Tiburon, California native credits her successes thus far, which include Country Music Association emerging artist recognition and winning an Independent Country Music Association Award as banjo player for bluegrass group The Nashvegas Ramblers, to fearless pursuit of her passions. That, and her incredibly tight-knit musical family. Hard at work on a new full-length album set to release in summer of 2016, Barr is currently in the studio working with producer Matt Odmark of the Grammy award-winning Christian rock band Jars of Clay. Showcasing both Barr’s eclectic writing style and technical ability as an instrumentalist, this forthcoming album includes everything from infectious bluesy tracks (“Starve You Outta My Heart”) and heartfelt country ballads (“Forgotten How to Cry”) to folk-influenced melodies (“Indian Summer”) and upbeat love songs (“Can’t Help Lovin’ You”). Behind Lockwood’s refreshingly whimsical vocals is, of course, a hearty dose of her signature banjo work. “In each of my songs is a story and I’m here to share my stories with the world,” she says. 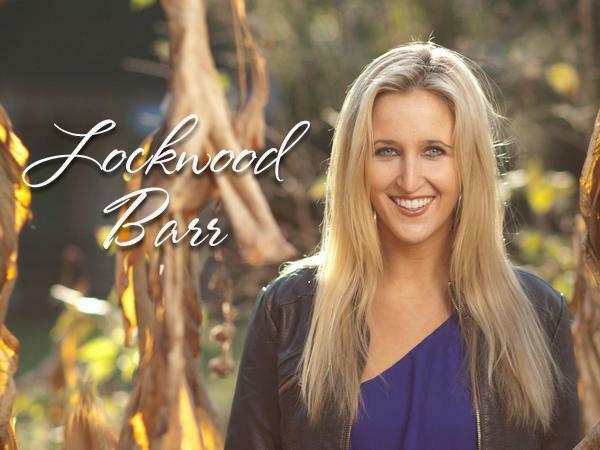 We will talk to Lockwood about her upcoming schedule, get a behind the scenes look at her music, feature her latest songs, and ask her to share her message for the troops. Please be sure to visit Lockwood Barr at https://lockwoodbarr.com/ and spread the word. Fans are welcome to call in and speak live with Lockwood during the show (718) 766-4193. Our message to the troops: WE do what we do, because YOU do what you do.